Risk-Free 60 Day "No Questions Asked"
"We Put Dozens of Champion Fanciers Under The Microscope And Persuaded Them To Reveal To You Their Own Pigeon Racing Formulas On How They Consistently Dominate The Race Results And How They Became So Successfull"
All together... these champion fanciers have won nearly every single major pigeon race and event in existance and have breeded some of the most sought after birds on the planet, and your gonna get a first hand look on how they do it. 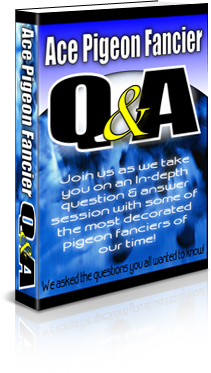 We are gonna take you on an in-depth question and answer session with some of the most decorated pigeon fanciers in the world. They spill the beans on their addiction with pigeon racing and how they became so successfull and continue to dominate almost every single race they enter. If you’ve ever wished you could have a personal conversation with some of the top pigeon fanciers and ask them how they made the transition from “average” to pigeon racing champion, I’m giving you the next best thing. I cornered some of the most successfull pigeon fanciers of our time and convinced them to document how they began and what makes them tick…. This is truely one of the most powerfull resources any fancier can arm themselves with. What they look for when choosing their champion birds. 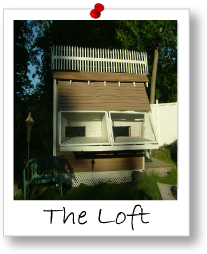 How their champion lofts are set up. How they choose their birds when pairing. The strategies and techniques they use for training and conditioning. 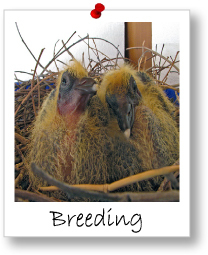 Which breeding systems they use to breed champion birds. How they get their birds ready before the races. Their feeding and nutrition secrets. What to look for and look out for during the racing season. These fanciers have proven their winning formulas by consistantly dominating the race results and breeding some of the fastest champion pigeons in the world. Any expert will tell you that the fastest way to success is by duplicating successfull people, and now with the Pigeon Insider you can do just that. These champion fanciers actually give you the blueprint to their success simply rinse and repeat. Your gonna get all of these champion tips, tricks, techniques and strategies and insider information, in this fast action bonus. 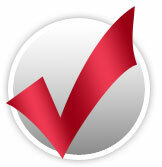 Risk-Free 60 Day "No Questions Asked" Money-Back Guarantee! If you have been struggling to place in races, frustrated with the results you have gotten so far maybe even getting ready to quit the sport all together then WAIT,....this may be the most important letter you will ever read. And Duplicate These Results For Yourself! "It doesn't have to be that way, you too can be a winner!" The Pigeon Racing Formula will help you mimic the Ace fanciers and champion lofts and get the same winning results that they do year after year. Gone are the days of trial and error, frustration, mediocre results and failure. 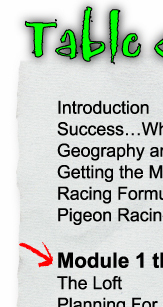 The Pigeon Racing Formula will get you on the fast track to success. 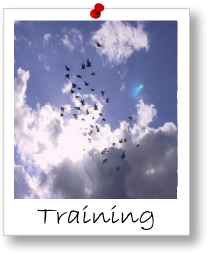 The Pigeon Racing Formula was developed to help struggling and frustrated fanciers, I too have been in your shoes and know all to well the pitfalls you are going through. I want you to see exactly what has worked so well for me, and for so many other successful fanciers that I have had the pleasure of meeting. I'm confident you'll then see for yourself how this can take your results in a completely new direction. 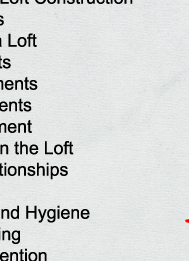 A very exciting and winning direction. We are going to show you the same loft tested techniques and race winning strategies that the champion pigeon fanciers are using right now as we speak and how you can clone these techniques and strategies to work for you! 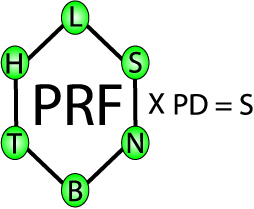 The Pigeon Racing Formula is based on our loft-tested race-winning pigeon racing formula. 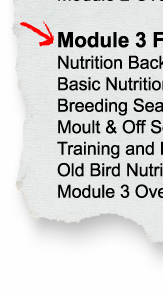 This breakthrough formula will walk you through six modules for dominating the race results and following in the champion pigeon fanciers footsteps. I developed this formula to help shortcut your learning curve and save you the years of frustration and confusion that I went through while figuring out how to get my birds to return home at lightning speed and consistantly win races. In this case study from Allan Shaeffer, Allan reveals a problem that he was experiencing that really is far to common among new fanciers, lost birds. 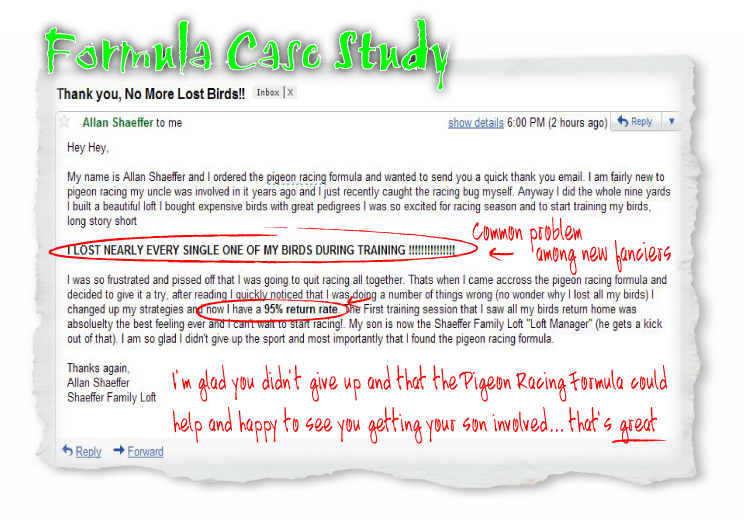 By implementing the strategies in the Pigeon Racing Formula Allan was able to go from loosing most of his youngsters during training to a 95% return rate! But the best part about this testimonial is the fact that Allan has introduced his son Ryan to pigeon racing, way-to-go Al! 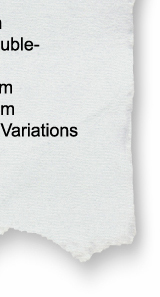 *NOTE* The 7 fast action bonuses will only be available for the introductory period and will be removed as soon as the introductory period has expired. Do not delay you must take advantage of these extremely limited time offer bonuses today before there gone forever. Twice the size of the original pigeonary complete with detailed definitions. The biggest, most complete pigeon racing pigeonary available. Never search for another definition again! Easy navigation for ease of use and maximum effectiveness. 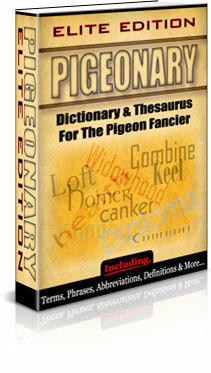 Dictionary created specifically for the pigeon fancier. 4 generation pedigree template a must for selling your birds and ancestry. Handy wall chart template, ideal for hanging in the loft to monitor the progress of the birds. 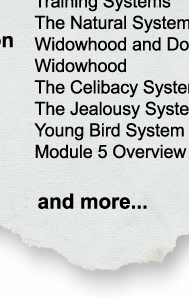 For our first fast action bonus we are including our very popular Pigeonary: Elite Edition. 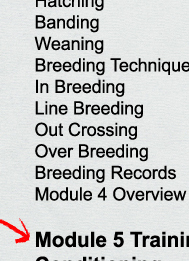 The Pigeonary is a collection of all the important pigeon racing terminology that any pigeon fancier should familiarize themselves complete with detailed definitions. In order to get the most out of the Pigeon Racing Formula you really need to understand what you are reading, so if at any point you come accross a word you don't recognize you can refer back to the Pigeonary for a detailed definition. 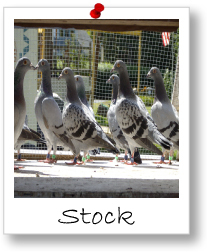 The Pigeonary perfectly compliments the Pigeon Racing Formula and helps you make the most out of it. 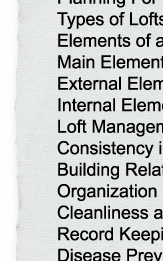 For our second fast action bonus we are including our loft managment templates, as you will see in the Pigeon Racing Formula we put a large emphasis on keeping good records so we are including 8 of our most powerfull loft management record keeping templates, the same ones that we use in our loft. 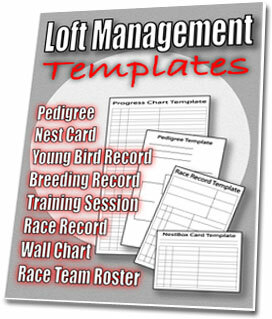 These loft managment templates are designed to help you maximize your breeding, training and racing efforts, an extremely valuable companion to the Pigeon Racing Formula simply print and use. Any successfull fancier will tell you that health is probably THE most important part to pigeon racing. 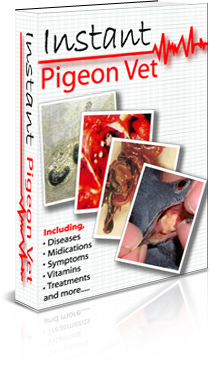 An unhealthy bird will NEVER be successfull and the same goes for fanciers who don't put health a top priority in their loft., because of this we included the Instant Pigeon Vet in this package as our 3rd fast action bonus. "Sounds great, but what does it all cost?" I Want This Package! What Do I Do Now?" It's easy to order. All you need to do is click the link below, which will take you to the secure order page, and then you just enter your information in. The whole process only takes a minute or two. 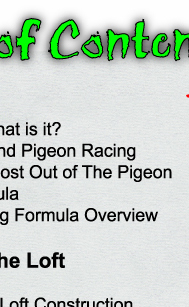 As soon as you place your order, you'll immediately be taken to a secret page where you can get access to the Pigeon Racing Formula including the bonuses and affiliate members area. 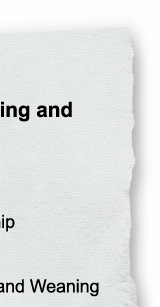 There is no shipping and handling, because it's an electronic course. That means you won't have to wait in order to begin using these strategies in your loft. You can be on your way to success in just a few minutes. Go ahead and click the order link below, and see what all the fuss is about. 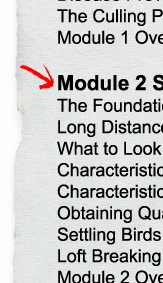 You'll get instant access to the entire course, and the bonuses... even if it's 3 in the morning. How much? It's actually really inexpensive when you consider what you're getting here. 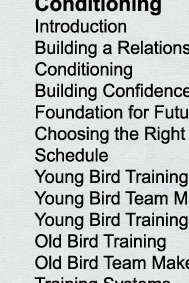 I've literally spent hundreds of hours and thousands of dollars perfecting these methods, and putting them all in one easy-to-follow system for you as well as gathering some of the greatest minds in pigeon racing to help guide you as well. I learned these strategies the hard way, through trial and error, but you don't have to. 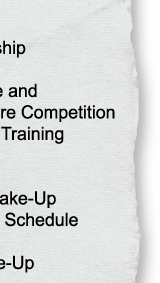 This program will literally shave years off your learning curve, and have you winning races like a champion in no time. 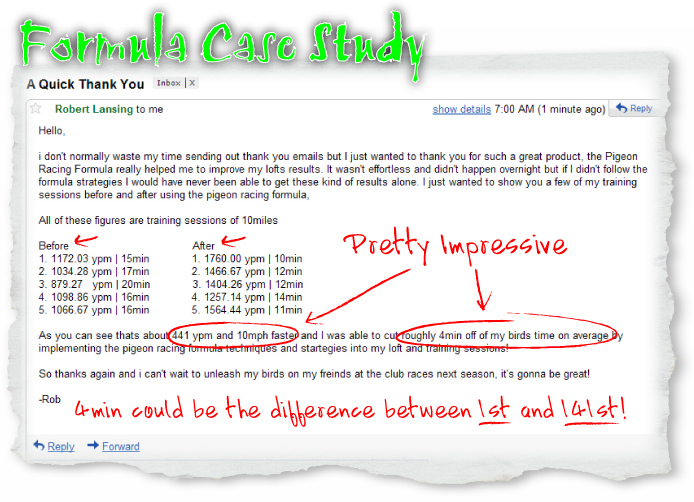 Now I don't want you to just take my word for it about how powerfull the pigeon racing formula is, before we launched the pigeon racing formula we put it to the test, below you will see three real world; loft and race proven case studies of how the pigeon racing formula helped other fanciers just like yourself and these are only a fraction of the positive case studies and testimonials the pigeon racing formula has received! It helped me... it helped them... and it will help you. Read below to see how other fanciers just like yourself are benefiting from it. P.S. - This is an extremely limited time offer. You must take action on this offer today in order to take advantage of the special low introductory price of $47 and the 7 fast action bonuses. 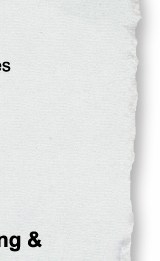 We will be raising the price and removing the bonuses as soon as the introductory time has expired. 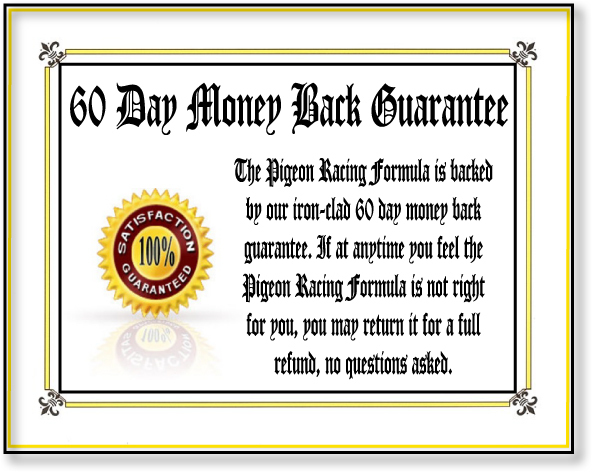 Order the Pigeon Racing Formula today before it's to late! P.P.S. - Go ahead and place your order right now. There's no risk, no reason at all not to jump on this offer. Don't let this chance to finally uncover the ace pigeon fanciers secrets pass you by. 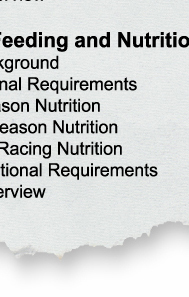 You'll get instant access to the entire Pigeon Racing Formula package within minutes of ordering. Click here to start right now! P.P.P.S. - Remember, nothing will change until you take action. If you want to be successfull at pigeon racing, you've got to do something different than what you've been doing all this time. The strategies in this course are THE reason I consistantly win races today, and they can help you do the same. Go ahead and grab your copy right now. 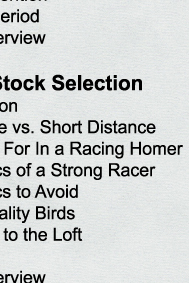 In our 5th fast action bonus we have Racing Pigeons written by Dr. Rob Marshall B.V.Sc.,M.A.V.C.Sc. Dr. Rob Marshall is a bird veterinarian with more than 25 years experience in treating birds. He has kept birds since the age of eight. The age he decided to become a bird veterinarian. 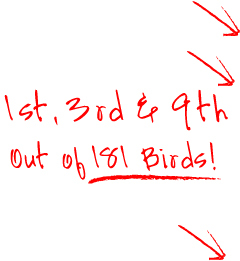 Since 1975, Dr. Marshall has been attending to birds as a veterinarian. In 1988, he received his M.A.C.V.Sc. degree in Avian Medicine. He is author of many books and videos and is regularly presents scientific papers at national and international veterinary conferences. Dr. Marshall's knowledge and expertise with racing pigeons has been used to develop health programmes and strategies for racing and fancy pigeons and commercial squab farms. 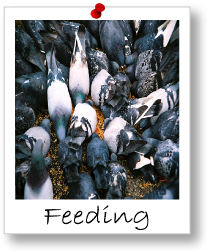 Dr. Marshall takes us through some of the fundamentals of pigeon racing including feeding, breeding, loft design, handling and health but from a veterinarians point of view. 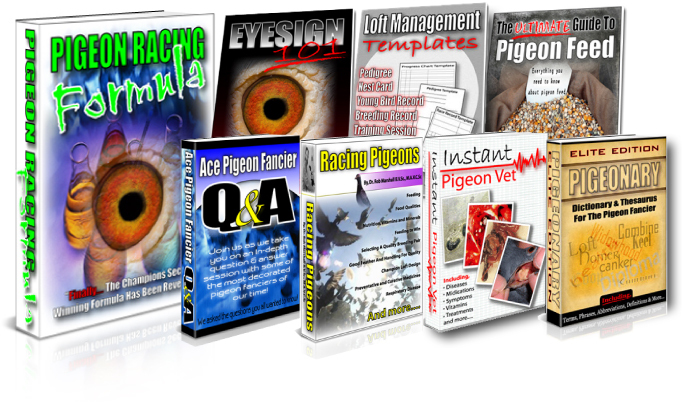 We wanted to make the Pigeon Racing Formula package highly informative and versatile and because of that we are including EyeSign 101 as our 6th fast action bonus. 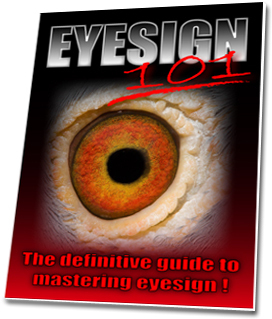 No matter what your views on eyesign are, studying eyesign and eyes can give you lots of information about your pigeons and can greatly speed up your chances for success. After all information is key to becoming successful at pigeon racing so the more information you can get about your birds the better. The difference between sprinting, middle and long distance eyes and what to look for. Eyesign qualities to totally avoid. 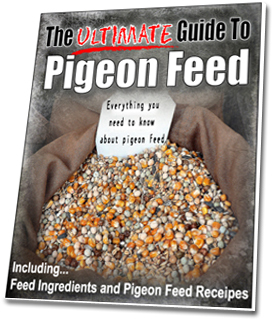 The Ultimate Guide to Pigeon Feed also includes an ingredients chart which shows the moisture, protein, fat and carb percentage of each ingredient as well as feed recipes. YES! - "I Want to Secure My Copy of the Pigeon Racing Formula Now"! I'm ready to learn the techniques and strategies the champion pigeon fanciers use everyday for consistent winning results! I understand that I will be able to download the entire package immediately after I order. Everything is instant, so I don't have to wait at all! I also understand that a portion of the proceeds will go towards helping the preservation, promotion, research and development of the sport! "Created For Pigeon Fanciers, By Pigeon Fanciers...."